SPONSORED LINKS One English mother had been sitting in the Dartford’s park with her baby while breastfeeding her child who started getting hungry. New laws in England fully allow mothers to breastfeed their babies in public, so they can’t be discriminated for this. But it didn’t stop one angry woman, who also was visiting the park at that moment with her child and husband, of assaulting her. She also posted a message on one of Facebook local pages to blast breastfeeding woman one more time even telling that she squirted breastmilk right in her face. 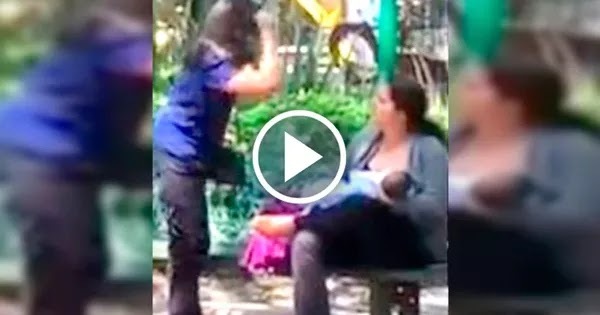 You can watch the whole video below, even though it’s absolutely unclear was the mother squirting on her, as she wrote, or not.